I really like my NT555R2 they talk back enough to keep me on track. Hard to beat everything I have heard about the Star Specs, but also look at the Yokohama AD08 - damn fine tire. Love mine. And they have lasted extremely well on dual duty. I have a special deal on 205/50R15 Toyo R888. Very interested. Possible to get a quote for 4 shipped to 85233? I had been doing the same thing shopping for tires to start on, Firehawk gt i have found to be the reasonable tire to run with, 40,000 mile tire rain or sunny day . so far one of my instructed had asked what type of tire i running hwne i told him he was like what. 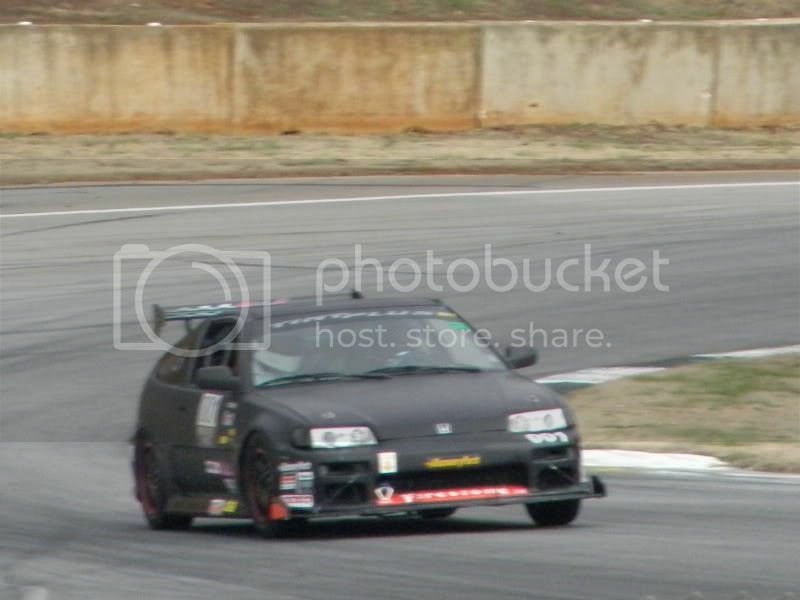 they stick pretty decent at road atlanta . I have 375 miles one them so far ,track only tire . my next tire upgrade will be to ra tire . once i get through hpde classes. i love my ad08. they have great wear, are great in rain, and stick very well. This is a bit off topic (in this very old thread) but I've got my second DE-1 coming up in a couple of weeks. I just bought a new (to me) 07 350Z (310 hp, 3300 pounds). It has brand new El Dorado Velozza tires (no joke). 245/45 rears. These are W rated all-season tires, treadwear rating of 360 so they are hard. I do not have the money or time to get a set of track tires right now. Is this going to be a nightmare on a cold track? The key here is recognizing that you're going out on a cold track. As long as you do that and make the appropriate corrections they should be just fine. I'm sure you've heard it before, but it bears repeating: bad tires make great teachers. My tires are somewhere around 400 treadwear and I've never had a problem on a cold track. Congrats on the new acquisition and I'll see you in a couple of weeks! I agree with MR_E 100%. I will also say that the best thing you can do is to stay on street tires for as long as you can as you progress through the HPDE ranks, don't give into the "R-comps are better" mindset. You will be a better driver and you will learn sooo much more about what your car is doing than if your mistakes are masked by the grippyness of R-comps. Congrats on the new acquisition and I'll see you in a couple of weeks! Well, the first person I spoke to on the grid (was it Robert? The guy on the Segway) before my first time ever on the track made fun of my Japanese luxury car (G35 coupe) so I just had to get rid of it. Edit: I think it was Rob Parker. Many, many, many years ago I was on old almost 400tw tires in HPDE. Just keep the above in mind. Work up to the tread talking back to you. Don't go much past that except in the "safer" areas of the track. When I started NASA last year with my 03 350Z, I was using Goodyear Eagle F1 All Season tires. They had a treadwear rating of 420. I used them once at NCCAR, once at Roebling and 3 times at Road Atlanta. They were fine for my skill level. As everyone keep saying: track time is the best investment. Last Fall I purchased 18" wheels with the Dunlop Star Specs. I have since used them at Barber and at Roebling. They are a great tire and I plan on staying with them for a long time. BTW, you are going to love the Z. Thanks Mike. I am already enjoying the Z. As similar as it is to my previous G, they feel very different. This Z is about 200 pounds lighter and has about 10 more HP but it feels significantly more powerful for some reason. Might just be in my head. The G had a very rough ride. The Z rides better. We'll have to see what that means in terms of handling. The steering on the G was lighter and seemed very precise. My wife said it felt fidgety but I really liked it. The steering in the Z has a little heavier feel and less feedback from the road but it may be just as precise. We'll see. The clutch in the Z is way better than the G. Overall I like this Z a lot more. Pretty much everyone is right on spot on this this thread. Another great teacher is if you DD the car. I DD my 98 GT for almost 2 years before I put her on CMP with BFG g-forces. After 2 events there I had instructors telling my Im pushing the car well beyond what the tires could handle, that I had them squealing most of the session. So I'm now running BFG R1's. So SEAT TIME in your own car and knowing her from top to bottom helps tremendously! !